The 12,630 ton Panama flagged Beagle III, sank early Tuesday in a collision with the South Korean flagged vessel Pegasus Prime. Beagle III was carrying steel coil. According to the local coastguard eight from the twenty crew members from Beagle III are still missing after the collision. All of them were Chinese nationals. 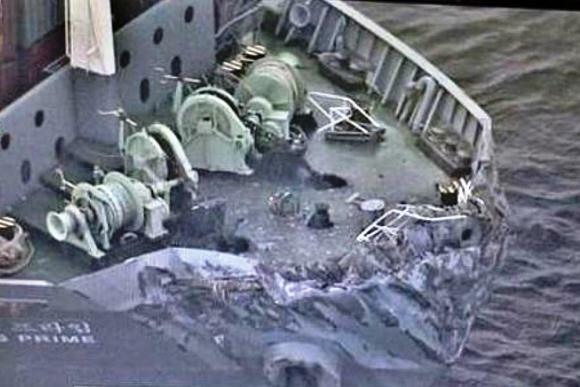 From the remaining twelve crew members which were saved after the collision, one of them died due to serious injuries. On Pegasus Prime there were no injuries reported according to the Japanese Coast Guard. Rescue coastguard teams are searching the area in order to find the missing crewmembers. Up until now it is unknown what has caused the accident.